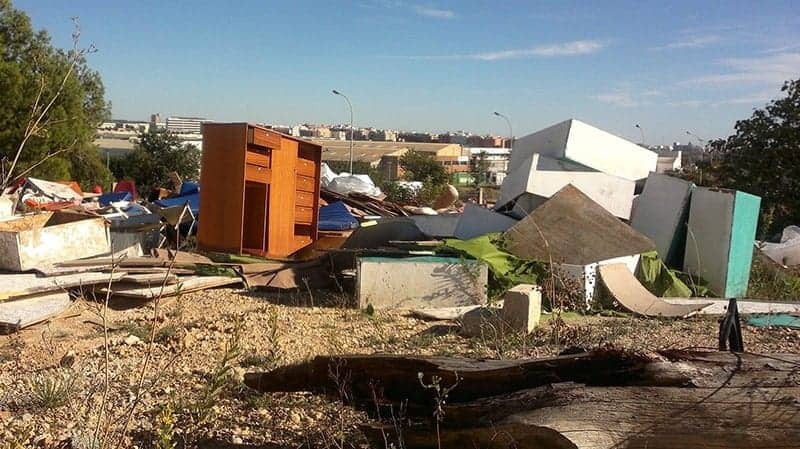 Illegal Dumping: What Can We Do About It? Summer is the perfect time to renovate your house or to clear out the furniture you’ve wanted gone for a long time. Summer too, is also the time when people pack up and move, taking advantage of the nice weather to settle into a new home or condo. There’s another thing that happens in summers as a result of these moves: an increase in illegal dumping of furniture, mattresses, and appliances. Illegal dumping has worsened so much that the City of Surrey is even planning to install cameras to catch illegal dumpers (Griffin, 2018). But why is illegal dumping such a big concern? Illegal dumping is also bad for the environment, especially if the waste is dumped in habitat-sensitive areas including water streams and creeks. Yet there are many reasons (some more legitimate than others of course) why people participate in illegal dumping. 1. They don’t have access to a car or trailer to haul their waste away. As more residents in Metro Vancouver municipalities ditch cars for bikes or opt to car or rideshare, the population of people with access to cars with trailers or trucks decrease. 2. They can’t afford the tipping fees at landfills or pick up and junk removal service prices for third-party companies are too expensive. As gas prices increase, and labour cost increases, it is expected that cost of service provided by these companies will increase as well, with the cost of business trickling down to their customers. 3. They leave their furniture and mattresses along the curbside because they believe they can go to someone else to use. In many circumstances, a lot of the furniture and mattresses people throw away can still be reused or refinished. Some of them can still be in good condition when people throw them out, so some might think they are doing a service by putting used furniture, mattresses, and appliances along the streets for others to pick up. What Can We Do About Illegal Dumping? Residents can do several things to reduce illegal dumping. If you live in Vancouver, you can use their Van Connect app or visit their website to report the issue. You’ll need to provide a description of what was dumped, and a photo helps too. In Surrey, you can report illegal dumping through this page on the City of Surrey website. While illegal dumping is not common in the city, if you do find furniture or items being improperly disposed, you can make a report. And out in the Township of Langley, where illegal dumping costs taxpayers over $400,000 a year, such activities can be reported through a service request online or through their hotline. There are many ways cities in Metro Vancouver are reducing illegal dumping in their neighbourhoods. For example, in the Township of Langley is one of the cities that offer large-item pickups by the municipal garbage service, up to 4 items a year. In Surrey, you can also schedule a large-item pickup to remove up to four items a year free of charge. Some items can’t be accepted, and the complete information for Surrey can be found here. Make sure to check your appropriate municipality for appropriate waste disposal procedures. Other ways to prevent illegal dumping or the desire to dump illegally is to budget and plan for any additional expenses during a renovation or a move. Call junk removal companies ahead of time, or choose a recycling service whose prices may be more reasonable for a quote. Schedule pickups in advance, or ask your neighbours if they know anyone who is in need of furniture, mattresses, or appliances. Another other option is to rent a pickup truck or trailer. Even spending some time posting your old furniture and mattresses on Craigslist and Facebook Marketplace can yield some success. It is a good idea to familiarize yourself with your city’s recycling and garbage service programs, including making sure what kind of large item pickup services are provided. Illegal dumping costs cities thousands of dollars a year and also ends up as an eye-sore to anyone that walks by or lives in the neighbourhood. The dumping of certain appliances can be toxic to natural habitats and affect our environment. Doing our part to preserve our cities’ natural spaces and cleanliness of our neighbourhoods is the right thing to do.